1.) 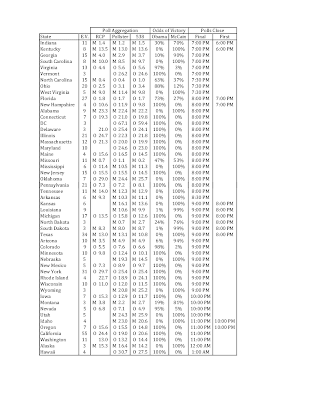 A chart with all of the poll aggregations for each state, the odds of victory for each candidate, and the time(s) that polls close. 2.) 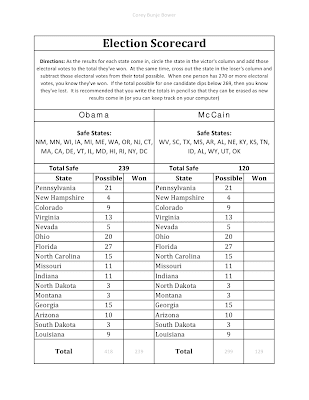 A scorecard to keep track of the electoral math when results start rolling in. I have pdf and excel versions I can send you if you e-mail me. Click on each image to see it in a readable size.